Oxford BioDynamics Plc (LON: OBD), a biotechnology company focused on the discovery and development of epigenetic biomarkers based on regulatory genome architecture, for use within the pharmaceutical and biotechnology industry, today announces, further to the announcement on 11 January 2019, the appointments of David Holbrook and Peter Pack to the Board of Directors as Independent Non-Executive Directors. In addition, David Williams has today stepped down from the Board as Non-Executive Chairman. Steve Diggle, Non-Executive Director, will become Non-Executive Chairman of OBD’s Board on an interim basis, replacing David Williams. Alison Kibble will step down from the Board and as Chair of the Audit Committee after the announcement of the Group’s interim results. David Holbrook and Peter Pack will each join the Company’s Remuneration Committee, which will be chaired by Peter Pack, and Audit Committee. Dr David Holbrook is a proven leader in business development and healthcare investing, with 30 years’ experience in the life sciences sector. David, a qualified physician and MBA graduate from Harvard Business School, has worked for a variety of companies, charities and academic institutions including: GlaxoSmithKline, Roche, Imperial College London and the University of Cambridge. In addition to his non-executive directorship at OBD, David will continue in his roles as Head of Seed Funds at LifeArc, Senior Independent Director at Worldwide Healthcare Trust plc and Chairman of The Liver Group Charity. David brings a wealth of healthcare investment expertise as a former General Partner and Head of Healthcare Investing at MTI Ventures LLP, and Director, Life Sciences at the Cambridge University Seed Fund. Dr Peter Pack, currently Chief Executive Officer of Crescendo Biologics, brings over 25 years’ experience of successfully establishing and growing international life sciences companies. At Crescendo, he has led the company through a $70 million fund raising and successfully completed a major licensing deal with Takeda for up to $790 million in milestones, with $36 million in upfront fees, equity investment and near-term milestones. Peter will shortly step down as CEO at Crescendo, continuing to serve the company as a senior advisor. Previously, Peter has served on a number of Boards and has headed up companies with up to 400 employees in the role of CEO and Managing Director, including mtm laboratories AG, where as co-founder and CEO he was responsible for the development, production and commercialisation of in vitro diagnostics for population-wide screening of cervical cancer. Peter is also a Board member of PolyPlus Transfections SA. Stephen Diggle is the founder and Chief Executive Officer of Vulpes Investment Management, which has over £100m of investments in the UK life sciences sector and has been a significant investor in OBD since 2008. He is co-founder and former managing partner of Artradis Fund Management, one of the largest hedge fund groups in Asia. Steve has been involved in equity capital markets for nearly 30 years, leading trading teams across a number of institutions including Salomon Brothers and Lehman Brothers, and has considerable experience investing in and supporting life science businesses through the Vulpes Life Sciences Fund. He holds an MA from the University of Oxford. 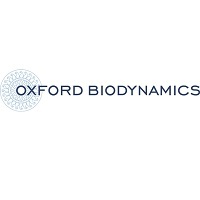 “We are pleased to announce the appointments of David Holbrook and Peter Pack as Non-Executive Directors, further strengthening the commercial focus of the Board of Oxford BioDynamics. Both David and Peter bring valuable expertise and insight, cultivated over many years in the industry, which will help us to deliver against our strategic objectives for 2019 and beyond. 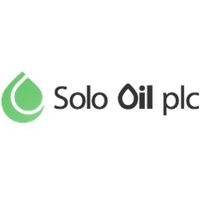 We are also pleased that Steve Diggle has taken on the role of Non-Executive Chairman on an interim basis. Steve has served as a Non-Executive Director since October 2016 and already brings a wealth of experience in biotech and wise counsel to the Board. He knows the Company well and will, I am sure, be an excellent Chairman.